When the winter season is approaching, it is high time to check your winter tyres, to ensure that your car can handle challenging driving conditions. And if you want to enjoy great safety and performance, getting reliable and economical tyres is of the essence. The Star Performer SPTV meets these two elementary requirements – you can get them at a convenient rate, without making compromises when it comes to safety or quality. Due to the low rolling resistance, the fuel consumption is reduced, as well. Concurrently, the grip on wet roads is another element that persuades more and more drivers that Star Performer is a dependable manufacturer. Drivers must acknowledge that the tyre tread depth has an immediate impact on many of the winter tyres’ properties. To that end, experts advise users to change winter tyres when the tread depth has reached 4 mm. As soon as the tread reaches this point, the tyre has come to its limit of winter suitability. As the tyre wears down, its capability of maintaining an adequate grip on challenging wintery roads declines. To that end, thanks to the manufacturer’s unique warranty policy, when your Star Performer SPTV wears down, you can order a new tyre, and obtain a discounted price. The discount will be calculated depending on the remaining tread depth. For example, if your tread depth has come to the minimum of 4 mm, you receive a 60 percent discount. 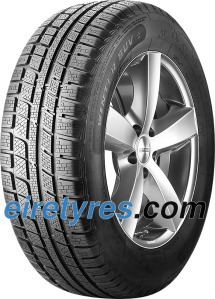 Visit eiretyres.com to browse through our vast catalogue of products and find out more about this offer!